The Black Star Project | Educate our children! Donate now! Join the movement to educate, motivate and empower communities. 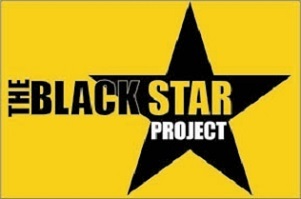 The Black Star Project is one of the few Black-led organizations in America working in the space of Public Policy, Advocacy and Economic Empowerment. Donations of $50 or more come with membership benefits! Donate 100% - Add 3% so that 100% of the donation goes to The Black Star Project . The Black Star Project has partnered with Network for Good to securely process your online credit card payment via Network for Good (tax ID 68-0480736). This transaction will appear on your credit card statement as "Network for Good." This transaction is subject to Network for Good’s Privacy, Security & Disclosure Statement and the Charitable Solicitation Disclosure.